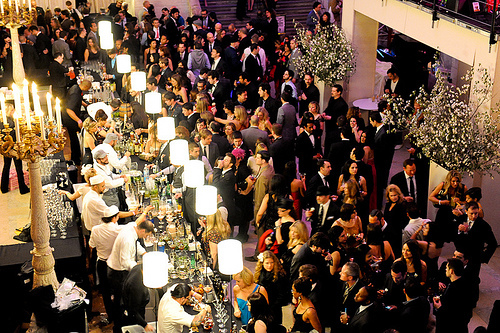 Ah yes, the Manhattan Cocktail Classic Gala. 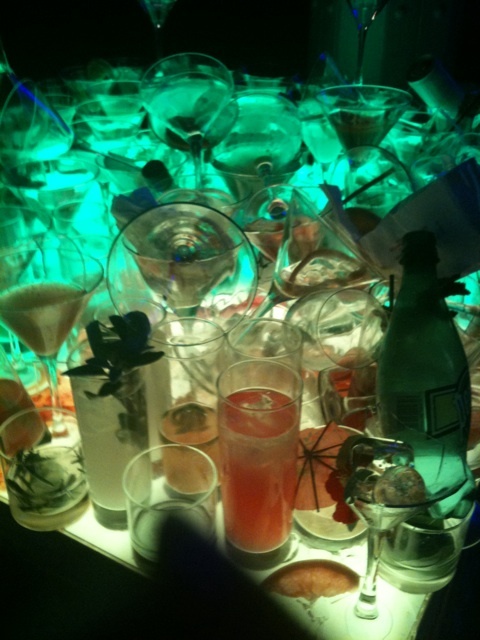 An annual blow-out of extremes, excesses, and lots and lots of cocktails. 40,000 cocktails to be exact. With 3,000 guests celebrating and drinking - that's 13.3 cocktails per guest! We, unfortunately did not have 13.3 cocktails - but we can tell you (from today's headache and the junk-food cravings) that we had our fair share. 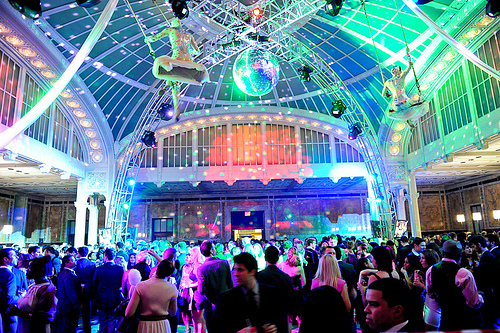 The Manhattan Cocktail Classic Gala is quite a production. Created by the talented Lesley Townsend, this was the second year of the annual event that was attended by over 130 liquor vendors - read - an amazing opportunity to taste those unknown brands in one place! The festivities took over the entire New York Public Library - cocktail and food stations in almost every room and corner of the building, live bands, caricatures, oysters bars, burlesque dancers dancing in large bird cages, and those grand staircases and devastatingly beautiful reading rooms filled with young New Yorkers dressed for the occasion. Festive fascinators, top hats, canes, masks, floral head pieces, ties with mini martini glasses, and so many prom dresses. It was really wonderful to spend an evening in the Library - the exquisite Beaux-Arts marble building by architects Carrère and Hastings was completed in 1911. Party-goers wrapped around the block to get into the event, and upon entry we knew it was bound to be an epic night. 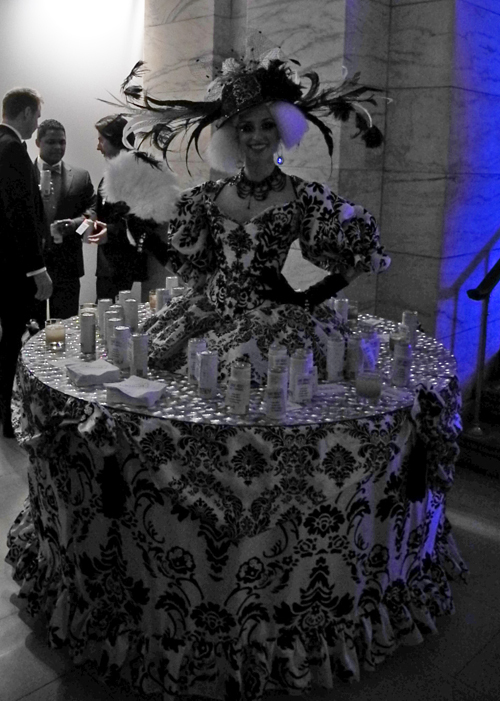 Each vendor had a station and a signature cocktail for the event. Renowned bartenders such as Tony Abou-Ganim and Brian van Flandern poured what seemed like an endless number of cocktails (we hope they are treating themselves to a vacation after this week). We started the evening with one of Tony's legendary Campari Negronis, then onto the Tanqueray no. 10 Tom Nichol, Barritt's Ginger Beer Just Got Paid, Farmer's Gin Gimlet, a taste of Cayrum (so delicious), Hibiki Highball, and our two favorite cocktails of the evening: the Glenlivet Blood and Sand, and the Yamazaki cocktail. We were bummed that we were not able to hit every station and try one of each cocktail - but it's probably best we didn't. Manhattan Cocktail Classic Opening Night Gala from Angostura Aromatic Bitters on Vimeo. 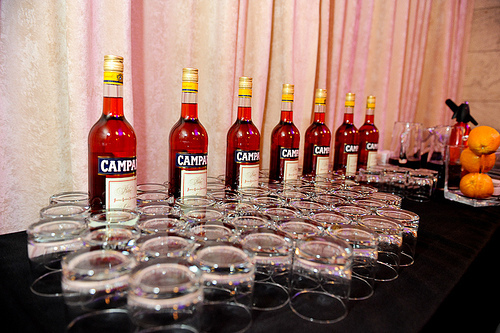 Our next MCC event - the Campari Spritied Fête for the Senses Inspired by Padma Lakshmi at The Box! 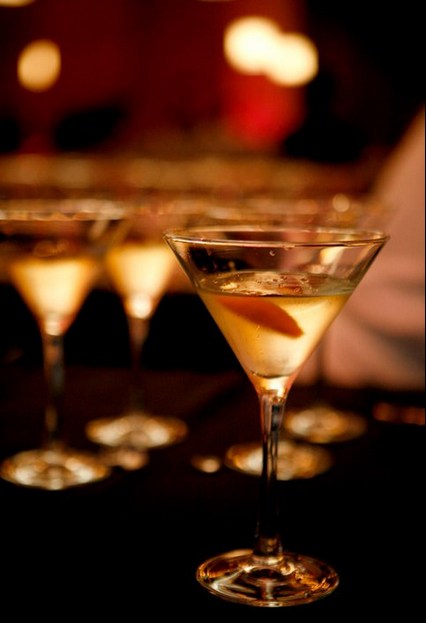 Tickets for events are still available - check out the Manhattan Cocktail Classic website for more information.